Hey, security can you please get this rapper guy a tie? Donald Trump walked Kanye West out of the building in minutes after reaching up to the penthouse suite. He looks like a homeless person who wandered into the building to warm up. "I feel the pressure, under more scrutiny, and what I do? Act more stupidly" -Kanye West & Donald Trump met today for the first time during Trump's transition to the White House, is a viral social media trend online. 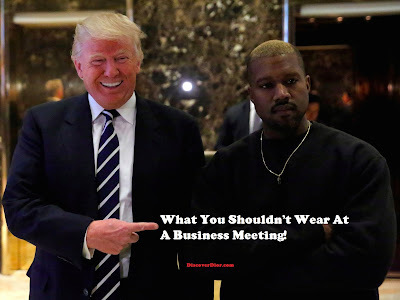 According to Complex Magazine "Kanye West reportedly met with Donald Trump to discuss potential 'Ambassador' role:" Can we FINALLY admit that Kanye West has no talent as a fashion designer and his collections are a joke. While everyone seem to be more concerned about the reason of this power meeting. Fashion designers wanted to know something else. Why didn't Kanye West (a designer) dress for success? Kanye looked petrified... his body language expresses... defeat? Seems like the president elect was wasting time with Kanye instead of focusing on his job. 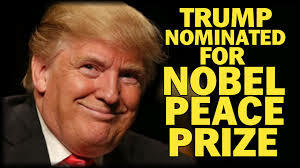 Not a fan of Trump but I would at least expect him to take his role serious. This looks off...Kanye is super against everything that made Trump's propaganda successful.... So intelligence briefings are unimportant, but meeting Kanye and talking about life is? So when President Obama has rappers at the White House, Republicans are outraged about the dirty lyrics and the message rap music sends, but when Trump meets with Kanye, no problem? Hypocrisy much Republicans. It seems as if Kanye went to Trump Tower, because at this point, he's the only fashion designer that'll dress Melania. "the musician and sometime fashion designer," NYT is not sure how to describe Kanye West. At this point it doesn't matter what the purpose of Kanye meeting with Donald Trump is, however it's all about how you present yourself in a professional manner while the media and the world is watching. Realistically if you think Kanye dresses bad and the only way to be fashionable is with a tailored suit you are correct. I understand that Kanye wants to be a musician AND a fashion designer but if you can't give 100% to both then u gotta pick one. Kanye Omari West is an American rapper, songwriter, record producer, fashion designer, and entrepreneur. But he's so much more, he presents himself as a leader in music, fashion and the voice of the people. The people are demanding that the next time you feel the need to have a power meeting with Donald Trump you wear a suit and then face the camera. Labels: Discoverdior Dressed For Success Kanye Failed Social Network Trend.